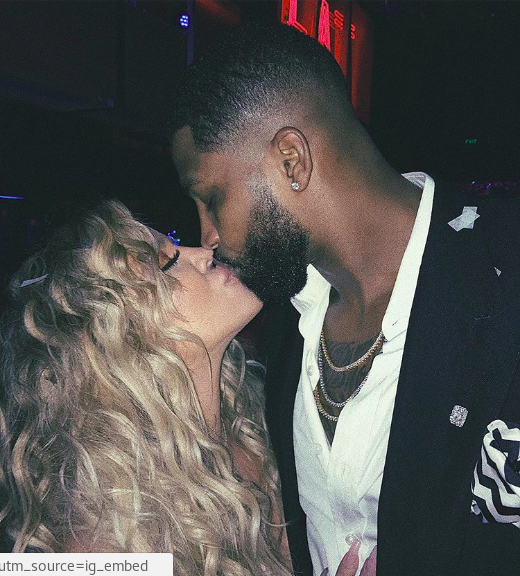 Khloe Kardashian has welcomed a new baby with NBA Star, Tristan Thompson amid a cheating rumour. The recently released video footage showed Thompson entering and departing from a New York hotel room. The cheating scandal rocking the lovers surfaced recently just a day Khloe posted a picture with Thompson with the caption, "We are ready whenever you are little mama." The new mother also was reported to be angry at the video of her man cheating on her, and had immediately wanted to fly from Cleveland to LA to be with the family, but was told to stay put by her doctors. According to sources, Thompson was reported to be present at the baby's birth. The couple was confirmed to be dating since 2016.